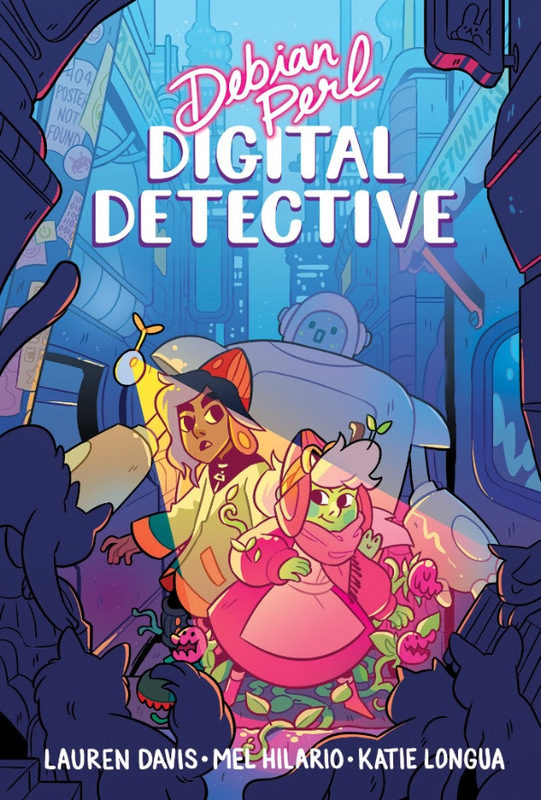 Jul 13 Lion Forge and Know Yourself team up for new series "Debian Perl: Digital Detective"
So Lion Forge makes comics for everyone. That's an amazing mission statement that I bring up pretty much every time I talk about them, but it's worth repeating. With multiple imprints, each aimed at releasing titles for specific age groups and reading levels, Lion Forge is constantly putting out products that may not always be for everyone, but they'll certainly be for someone. Coming next year, they'll begin publishing a new graphic novel series called Debian Perl, about a "digital hacker" and her adventures in coding and exploring technology. By teaming up with Know Yourself, Lion Forge aims to make the series an entry point into comics for middle-grade readers, promoting self-literacy and education. Nothing wrong with any of that at all. ST. LOUIS—Days before the opening of the exhibit hall at Comic-Con International 2018, Lion Forge reveals a new series for middle-grade readers developed in conjunction with computer scientist and entrepreneur Tim Howe’s Know Yourself, the Oakland, California–based public benefit corporation dedicated to self-literacy in early education. Megalopolis used to be the city hub for all the makers, doers, and dreamers. It was a better time according to Debian Perl, a technomancer known for her out-of-date computer programming skills. Now the city streets are filled with “Egg-heads,” those in thrall to the ease and simplicity of new technology as opposed to Debian’s way of doing things. Digits is one of those Egg-heads. She is a young social media guru and knows her way around all the newest, latest technology. Debian and Digits cross paths when they both stumble across a one-hundred-year-old lost robot named Ray-Bot. They soon learn that Ray-Bot’s CPU was suspiciously overclocked, leaving him unable to perform basic functions and commands. To find out where the robot came from, Debian must teach Digits everything she knows about computer coding and programming. Along their journey to bring Ray-Bot home, they begin piecing together the mysterious puzzle about his malfunction and uncover some sinister secrets. Debian Perl: Digital Detective is a five-book series in which middle-grade readers will join Debian and Digits on mystery adventures all while building practical knowledge of coding, algorithms, algebra, and logical problem solving. Debian Perl is created in partnership with Know Yourself, a company dedicated to helping kids learn more about themselves and the world around them. This incredibly entertaining new series combines logic, puzzles, and learning with page-turning, action-packed, mystery-adventure stories. The first installment of the Debian Perl series will be available Summer 2019.